When I was a young girl, my family had a weekly Wednesday tradition of going roller skating at a local roller rink and then eating at Burger King for dinner. We would have friendly competitions at dinner with finding the longest french-fry. My dad always seemed to win with enormous lengths of potatoes. It wasn't until I was a little older, and perhaps a little less gullible, that I realized that he deceived us by holding two fries together, so that it appeared to be one enormous french-fry. 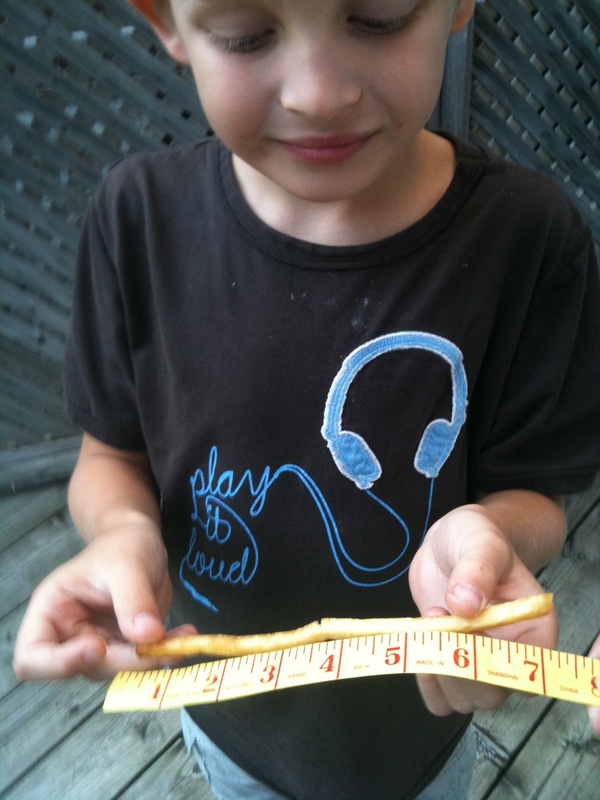 Now that I have my own family, we have continued the tradition of finding the largest fry. This photo has not been doctored, and there is no trickery. Seven inches of pure salty, warm, potatoy deliciousness!